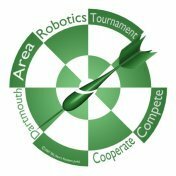 This event will include the competitive awards found in a typical FLL tournament. We will also create a number of subjective awards to recognize excellence which is not quantified by the tournament process and to acknowledge the unique contribution each team makes to to the tournament just by coming to play with us. Awards will be a key part in the closing Rally. Where two performances are equally excellent, Judges will not need to make a marginal decision not to recognize one of the teams. Two winners could be designated. Our ability to be flexible in making awards will be enhanced by the nature of the awards: Paper certificates for each team member, printed on the spot. Final decisions on numbers of awards and on some award categories can be made at the last minute. Here is the file used to create Award Certificates.